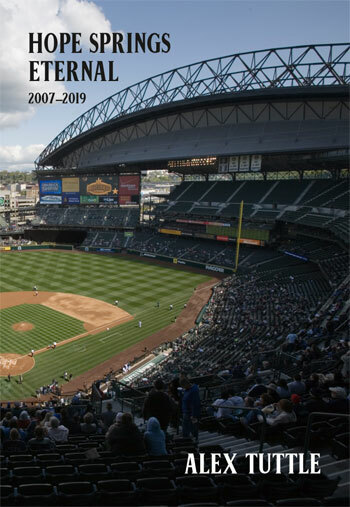 Every year on Opening Day of the Seattle Mariners baseball season, superfan Alex Tuttle sends out an email to his friends and family entitled "Hope Springs Eternal" which meditates on the nature of hope. Tuttle employs inspirational stories from World War II, Greek mythology, presidential races from half a century ago, Amazonian and Antarctic expeditions, but always brings the reader back to the dugout in the end. As Tuttle points out, on Opening Day, every team is tied for first place, and there is always hope that this is the year the Mariners will make it to the World Series. This book collects the first baker's dozen of Tuttle's emails, and is perfect for any baseball fan who can't help root for their home team, even against seemingly insurmountable odds.